The News Is Getting Out. What Will You Do? I have kind of been in hiding for the last month, and plan to be for the foreseeable future. Since leaving work and having gone through surgery, I really needed to take some “opinion and judgement free” time to sort a lot out. The long and short of it is trying to figure out what the last third of my existence on this rock is going to look like. It is no surprise to readers that I am no climate change denier and think that those who are are pretty mis-informed folks. In fact, I will not allow those comments here nor will I allow the ignorance of those that think a “Grand Solar Minimum” is an actual thing that is causing the weird issues with the weather. Look at the science behind what is causing the Polar Vortexes and educate yourself. Science denial seems to be a new mental disorder. Physics, Chemistry and Biology don’t care what your opinion is. I was a Financial Planner for about 30 years. A cornerstone of financial planning is preparing ahead of time, as much as possible, for the unforeseen. Rules of thumb included having 3 – 6 months of cash available in liquid accounts to cover deductibles, non-regular expenses, emergencies, etc. (So you don’t have to go into debt if you need to replace your tires, etc), having adequate disability coverage through your employer and on your own to replace your income should you not be able to work, life insurance if you have family dependent on your ability to earn an income, Long Term Nursing care coverage (which my in-laws are both using right now) and other protections to help one stay solvent financially despite roadblocks and pot holes that may arise along the road of life. This should always be done prior to, or concurrently with, saving for your goals. As I progressed through my career, I became more and more aware that there were some pretty serious issues on the near term horizon that no manner of saving and protecting was going to mitigate. Issues like Peak Oil (which we are seeing the wars over and the resulting economic slowdowns today), the issues brought to the light of day in MIT’s publication, “The Limits To Growth” (which appears to be right on track), water and food shortages, overshoot from over population and excessive resource exploitation, environmental collapse, and then, most heinously, Abrupt IRREVERSIBLE Climate Change, had a profound impact on me because my career was built around trying to help, as one of my clients was want to say, “keep me from becoming a bag lady in my old age.” This was a gut check time for me and it led to us adopting this kind of self-sufficiency lifestyle. I would now add to the financial planning schematic described above that in addition to covering one’s family with savings and insurance, learning how to grow food, store food, and learning lost skills needed to thrive when this veil of civilization collapses. I advocate mitigating in place because I can’t even imagine the insanity if every person in urban and suburban Romper Room donned a ruck sack full of protein bars and handguns and hit the street to go to some alleged “bug out location”. FEMA recommends having at least 72 hours of food and water stored in case of supply disruptions. Grocery stores have about 3 days of food available, which can be depleted rapidly (just ask those who have been through hurricanes or prolonged blizzards – raises hand). Also, 95% of this country is unprepared for a 2 week emergency and recently a report came out regarding our electrical grid that said people should look at what would be required to withstand upwards of a 6 month disruption in electricity availability. Should you think this be an alarmist statement, read the book on said subject by Ted Koppel entitled, “Lights Out”. Not exactly a tin-foil hat wearing prepper nut. But today, I took pause. I thought I was pretty up on most of the climate change literature and research. Vice Media posted an article that references a paper that distills it down in a public way that I am so pleased to see; not because it is a gloom and doom paper (It is) but because it comes out and clearly calls B.S. on the IPCC (The International Panel On Climate Change – one of the most politically sanitized committees in existence) . We are being fed a canard that goes something like this: “If we don’t take corrective steps in the next dozen years, then we will feel the brunt of climate collapse by the end of the century (As though we won’t see bad stuff until December 31st 2099). This paper seems to support my assertion that we don’t have 12 years to make these changes, we simply have 12 years…. period. I have posted the article and paper here. I suspect that most won’t take the time to read it. However, if you do read it, you will need to sit with it for a time. Many people, when their eyes are open to the futility of our endeavors, find themselves needing emotional support. My going into hiding has included this issue. After all, finding out that most of your life and why you strived to “achieve” was all based on lies and abuse, is a tough pill to swallow. Buy a good wine, or whatever you may imbibe in, and be gentle with yourself. The rest of the world runs around blaming each other for everything and beating each other numb with the stupidity of left wing vs. right wing politics (after all, they are two wings of the same diseased corporate bird). I stand out in the gardens a self-proclaimed, die hard, “Regressionist”. After all, that’s where it is all headed and that ain’t all bad – except for the whole extinction thing. I wish you all peace. Also, in the article there is a link should you want to listen to it via MP3 format. 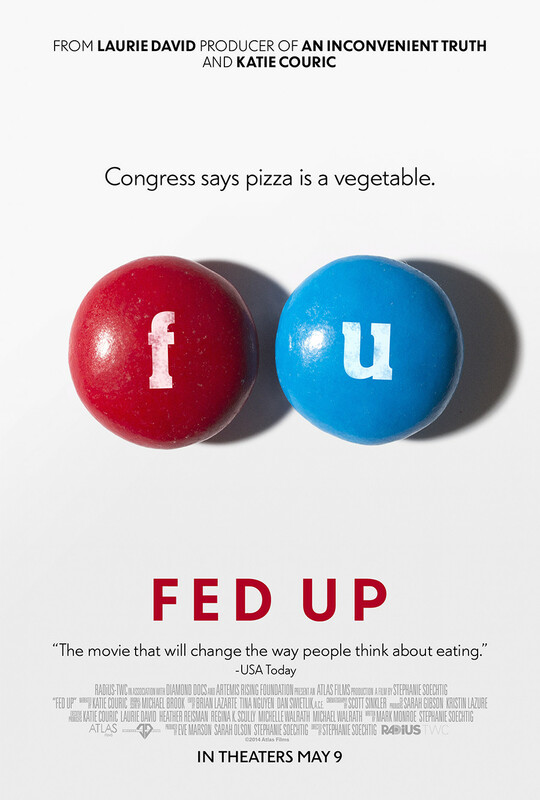 A new documentary entitled “Fed Up” has hit the scene. It is narrated by Katie Couric and I must say it nails what is wrong with our nation’s eating habits and our food system today. It is quite an eye opener and for anyone who cares why we have a diabetes and obesity epidemic this will pretty well put it in perspective. My family has watched it. Having a 19 year old son who has been influenced by food advertising and led to believe that processed foods are some how “real” foods instead of food like substances, it really opened his eyes. Sugar is the new cocaine. Watch this and recommend it to others. You might just save someone’s life. Because of this film I am attempting to go as sugar free and processed food free as possible. Indeed that is the cornerstone of why JAZ Farm exists. My weakness isn’t so much sugary and processed foods as it is liquid calories…. in particular, wine (hear me sobbing as I write). If one is to be able to be active and energetic as the years go by, the old jalopy of a body needs to be kept in shape. You can’t have clear and efficient fuel lines if you keep stopping them up with goo. Watch this show…. everything you may know about food could very likely be wrong. Don’t torture yourself by saying you are going on a “diet”. Make it a change in lifestyle. I did, and I am adding this to it. This post is a lengthy listing of Books, Movies, Documentaries and Articles that have influenced our worldview and led to the creation of JAZ Farm. It is kind of unwieldy. If you are interested in any of them you can simply copy the title and paste it into Google. It is a great library and has kept me busy in my Kindle and iPad and, lest we forget, real honest by goodness print for several years. I hope you find some of them informative, challenging and thought provoking. I will post new titles and links as I discover them so this post will be updated and edited from time to time. Simply click on the Bibliography category link on the home page and it should bring it up instead of having to scroll through all of the other posts. Books About Things That Make You Go HMMM…..